RedSeal enhances your existing security investments by adding network topology and connectivity knowledge to your data. You get a comprehensive network-wide view of your security posture. View our Technology Integration Guide for details on supported devices and software. Large, complex networks require the implementation and management of thousands of access rules. This complexity means it can be difficult to determine the devices and rules responsible for unwanted access. Unwanted, open access paths that contain vulnerabilities can leave organizations open to attack and allow intruders to gain access to critical data systems. To increase operational efficiency and reduce risk, Palo Alto Networks and RedSeal have partnered to ensure uniform visibility, consistent defense and ongoing management for organizations’ entire firewall and network device infrastructures. 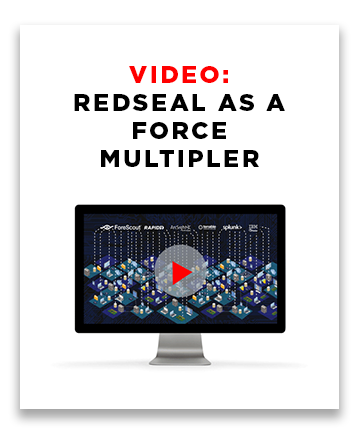 To learn more, read RedSeal’s whitepaper, Adding Network Intelligence to Vulnerability Management. RedSeal performs a number of firewall management functions including checking against industry best practices, STIGs, and your own rules. By combining these reporting functions with change management solutions, RedSeal improves the management and health of your firewalls.